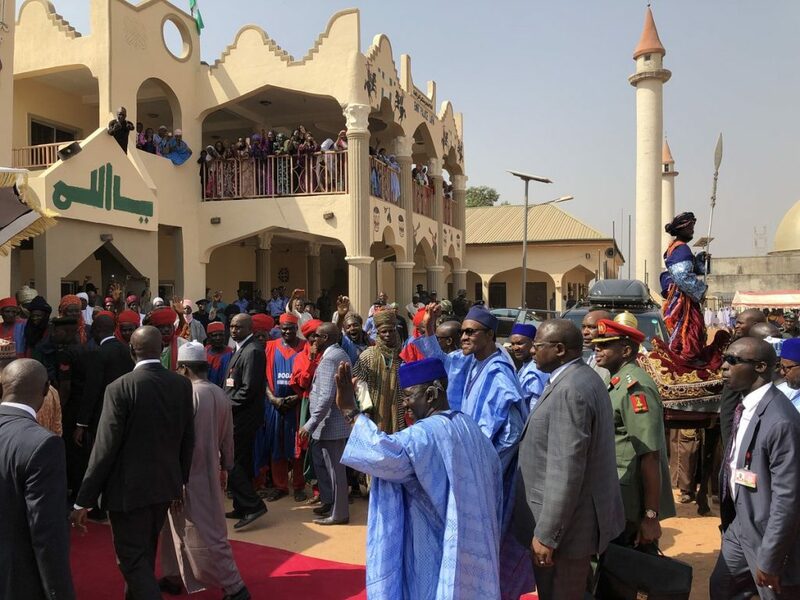 Photos: Buhari visits Nasarawa – Royal Times of Nigeria. 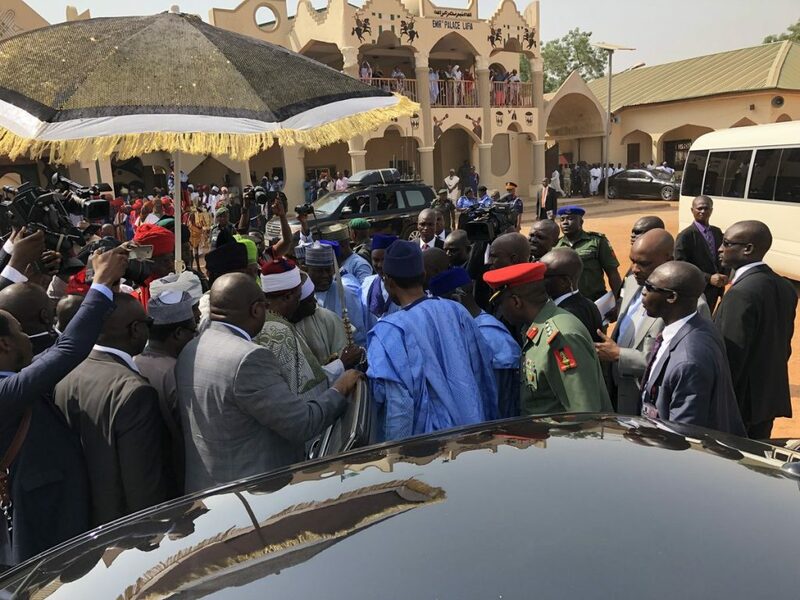 President Muhammadu Buhari has arrived Lafia, the capital of Nasarawa State for a day working visit. The president was received by Governor Tanko Al-Makura at the airstrip. President Buhari upon arrival, inspected a Guard of Honour mounted in his honour by the Guards Brigade. 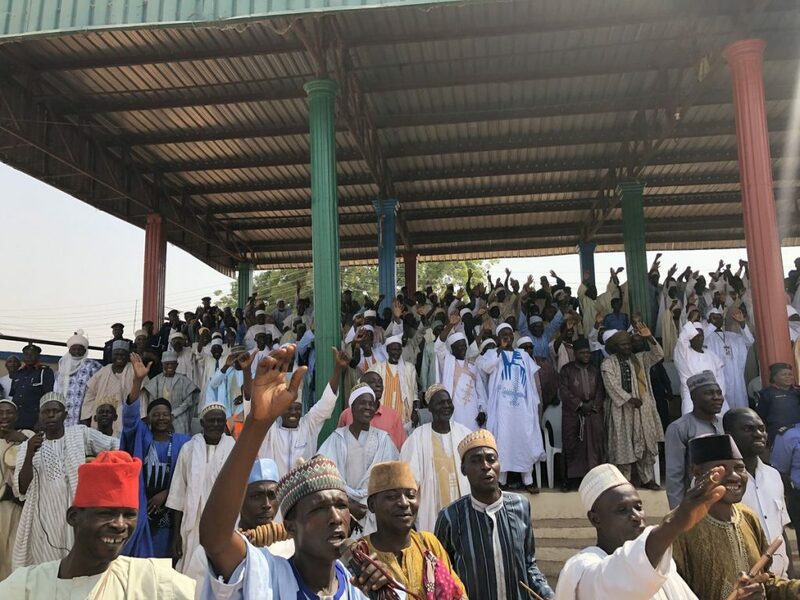 While in Nasarawa, the president is expected to commission a number of projects including a state of the art Special School in Lafia, the capital city of Nassarawa State and also is expected to flag-off the Community Health Influencers, Promoters and Services, as well as inaugurate some projects in the State. The CHIPS Programme is one of the President’s initiatives and a critical component of the Primary Health Care Revitalization program geared towards addressing challenges of human health’s resources in the rural areas. President Buhari also paid homage to Emir of Lafia, Alhaji Dr. Isa Mustapha Agwai.